Now every time you want to pick flowers or harvest something else you will see a short animation. So now you can't just run on your buisness and take everything on your way. 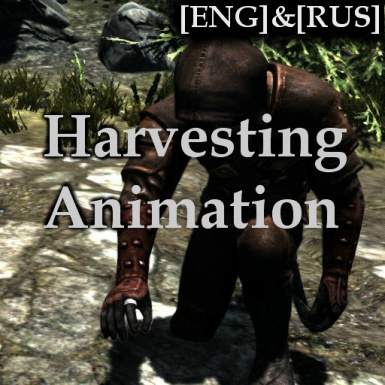 Now every time you want to pick flowers or harvest something else you will see a short animation. So now you can't just run on your buisness and take everything on your way. Main idea is to not allow player take everything on his way when he doesn't realy need this. Better use with SKSE. Without SKSE it will work but will all time force first person after animation. Dynamically attach script to almost every plant which will run animation on taking it. It doesn't change anything in game even this plants. It compatible with everything because it doesn't change anything. It's even compatible with mods that change this plants.